Pop Mural is a performance of art, form and function that interacts with people and transforms the space by popping in and out. Art Cricket is a sturdy multi-medium easel ideal for oil, watercolor, pastel, airbrush and acrylic art creations as well as drawing or drafting. 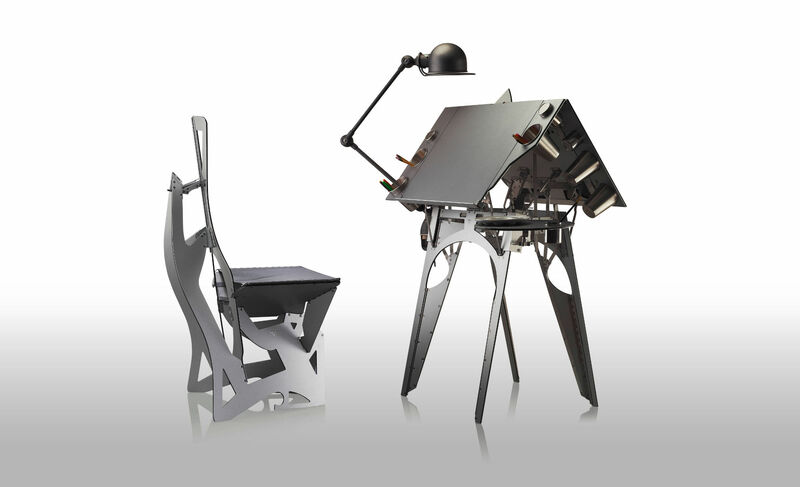 It is a Folditure-style easel that will quickly transform any room into an art studio. 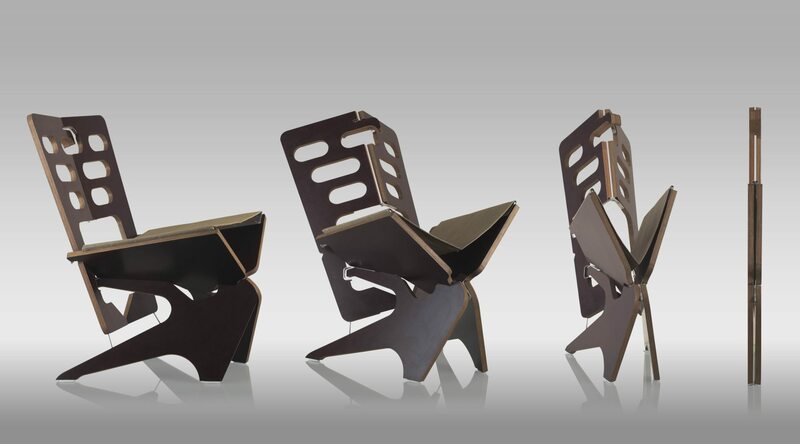 Star is a uniquely elegant and comfortable lounge chair and a true product of art and ingenuity. It is a chic space saver that folds flat effortlessly to a 1.25 inches thin silhouette. Maya is a formal side dining chair which can transform into a 1.25 inches thin, perfectly flat silhouette. Its beautiful lines come at no compromise to comfort and stability. 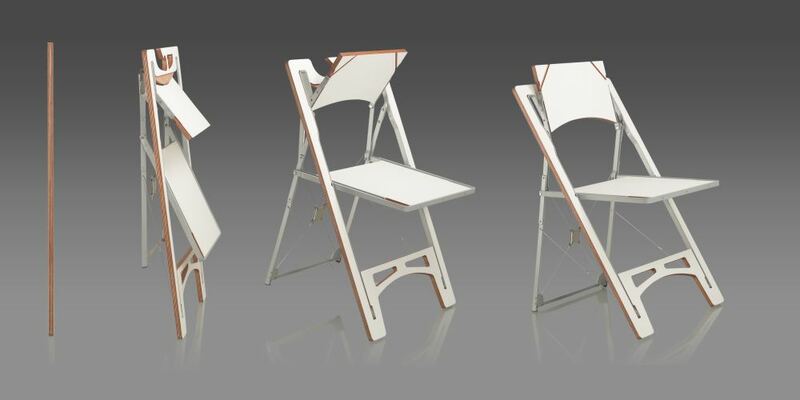 Tilt is a uniquely comfortable and sturdy multipurpose chair. It is a metro-friendly piece of furniture for those chic but tight spaces. It folds flat, with ease to just 0.625 inches thin. 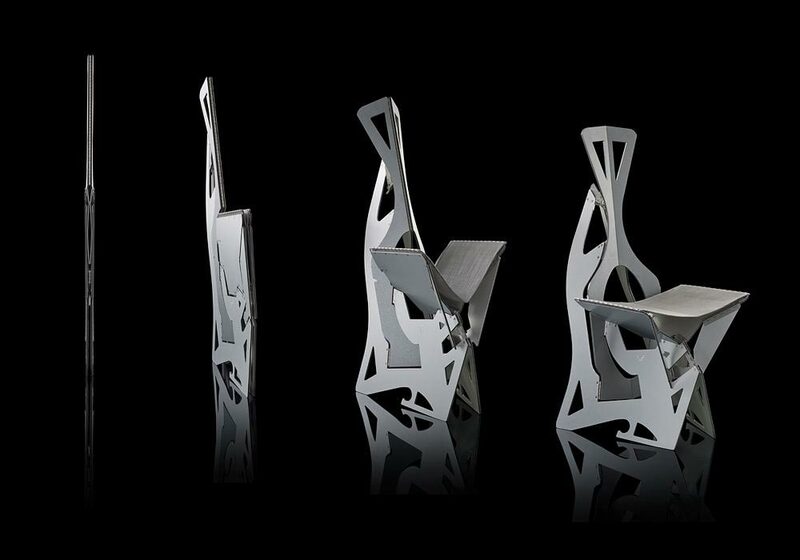 Leaf is a uniquely sculptural, comfortable and functional dining chair in aluminum designed for indoor and outdoor use. 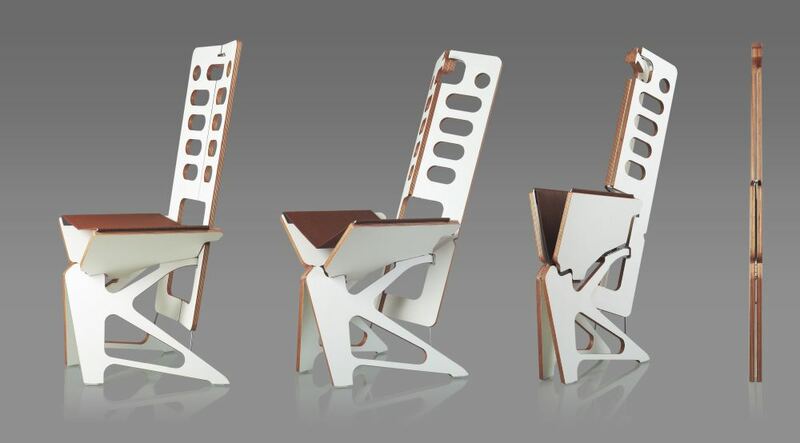 It is the slimmest dining chair ever made as it folds flat to a 0.625 inches thin silhouette. 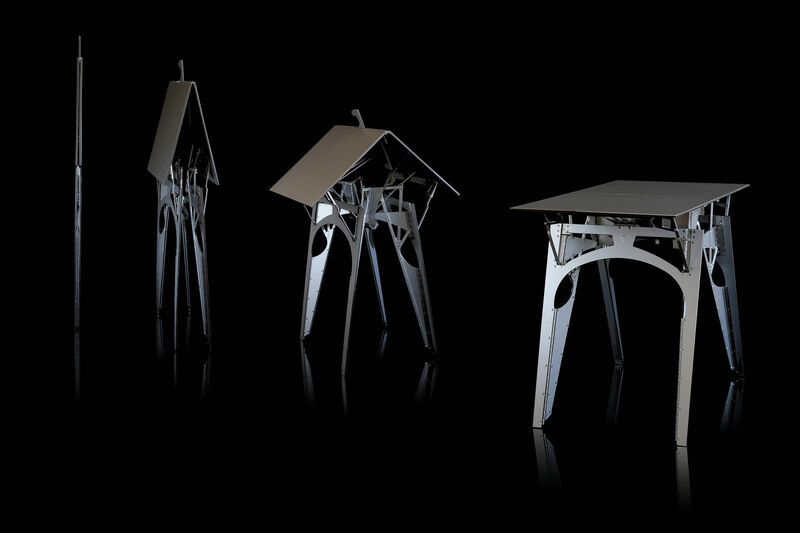 Cricket is a stunning and intricate dining table system with functionally and aesthetically ground-braking design. 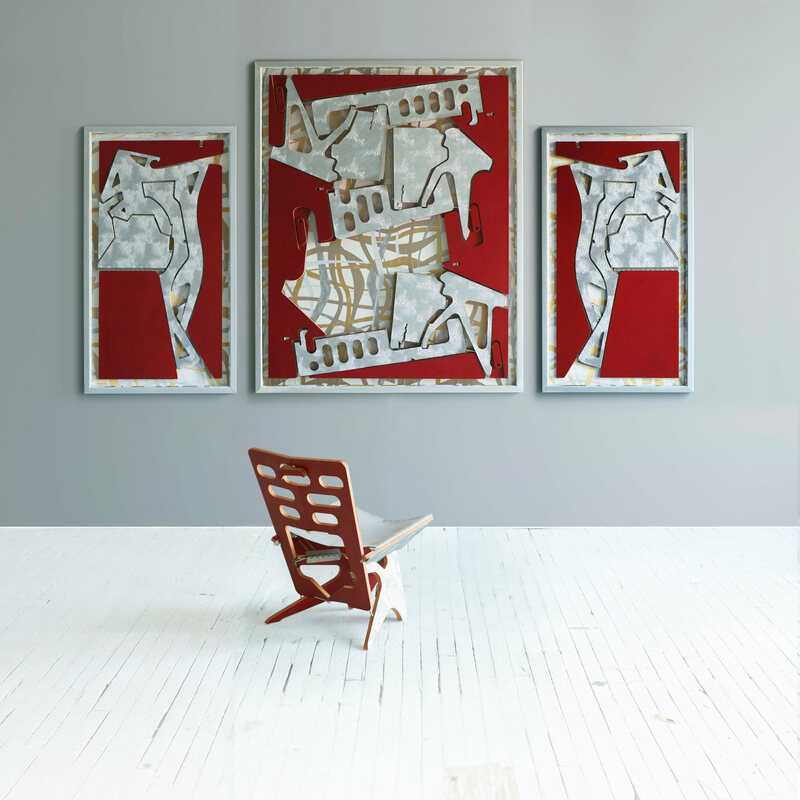 It can be folded with one hand to a flat 0.625 inch silhouette and hung in a standard closet!